I’m feeling particularly insecure as I write this post . I don’t have a solution for it, just some home truths. I figure it’s part of the natural order of being a writer. For the A to Z Blogging Challenge this year, I decided to use it as an incentive for myself to publish – go real life – wowser – some of my fiction. To a possible audience. Who might or might not read it. Yikes. Coming out of the closet as a writer was always going to be a tough thing for me. My first foray typically examples just how much of a shy person I am. A couple of years back I had a brief infatuation with living a second life – virtually. A “Second Life” where I actually set up a virtual writing studio (on a tropical island I owned and designed, of course) and joined some of the in-world writing groups of Second Life. In a spurt of confidence, I went and entered a short story in a writing competition. Unlike normal short stories, this one had to be based on a virtual treasure trail – I had to spend a few days following clues around a world that took my avatar through terrifying worlds, an actual hades, foggy islands, and at one point, something spectacularly out of Shakespeare’s MacBeth (one of my favourites of the man). My favourite was the little cottage with a murdered body on the floor. I then wrote a short story inspired by the travels. I can’t even remember what mine was about. But it took me five separate visits to the virtual drop box before I found the courage to post in my own text files. That was the first time I’d written something in twenty-five years. Un-expectantly, I won. Along with ten other winners, my short story won the competition. Which is where the real horrors started. The prize – of Linden dollars, wasn’t great. But to collect it, I was expected to attend a virtual writing presentation, where I was also asked to read the story out – using my avatar but my real life voice over a mike. When I arrived at the presentation in-world, the place was filled with writer avatars sitting waiting, gazing up at a stage where the winners were meant to sit. I had to jerk my avatar up onto stage. Anyone who knows a bit about Second Life will understand when I say that when you get more than twenty avatars in the same virtual setting, you suffer from bad lag. Even staying on Second Life at that point, was difficult. The hosts of the presentation twice got booted off Second Life before it was my turn. As soon as I hit the stand with my avatar, I entered the limbo zone – Second Life tended to throw me either deep underwater, or into some mythical sky, where somebody’s lost prims of hats and shoes floated by me. I logged off, and back in again, hoping like heck that my clothes came back in with me – often they don’t when high lag affects a setting. For a while I stood there, literally (virtually) naked on the stage, without my animations or my hair for that matter. Then slowly the sound and other visuals returned. Then onto the mike. The virtual one and the real one. Hearing my wavering kiwi accent come over the computer speaker, and feedback into other’s speakers was a truly awful experience. I’m sure I rushed through the story helter-skelter. A third of the way through somebody moved on stage behind me, and booted me out of Second Life again. I heard them over their own mikes, calling out my virtual name, then realising I’d been booted. By the time I got back in-world, they’d moved on with somebody else. However, I managed to stick around to pick up my money prize, partially dressed at least. It wasn’t a great experience of my first ever publication of a piece of my fiction, but it makes for an interesting birth into writing. It possibly also shows the origins of my own slightly dark fiction. I write thrillers. I believe that first story was one also. Roll forward to this week. So far, in my new “proper” writing life, I’ve managed to publish all of one short flash fiction piece on this blog. I created the blog to push myself to do exactly that – come out of my nice snug writing closet where I could hide my terror at having my work read. I managed to write four pieces of fiction to put up for the A to Z challenge this week, but came acropper when the person mentoring my blog through the A to Z pointed out on my first post that it was too long for most people. I’d thought the forewarning and wordcount at the top would have been enough of a warning, and had no expectations that everyone would read it. In fact, when looking back logically and realistically, people read things if they want to – it doesn’t matter whether a blog post is 500 words or 5000 words, people tend to read what they are included into, what they are interested in.That goes across the board. Fiction doesn’t or shouldn’t have to follow such strict guidelines. Nor should bloggers. I’ve visited many blogs over the last few days in the same challenge who have said nothing much at all in 200 words, and the same thing in 1000. It all depends, just like life. At first, the person’s comment took the energy out of me. It hurt. The comment came on my first ever publication of a piece of longer fiction setting up an entire series. I knew that it was long, but so were several other posts I was reading elsewhere in the challenge. Once I grew a thicker skin (time helps), I got over it. Then I ploughed on. The fiction writing and publishing was for me specifically, and to find possible readers. It was an experiment, and I’m still not sure how it went. I’ve now decided to stop publishing the rest of the series of stories on the blog. I will continue writing them, and am considering other publication routes at the end of my writing. I feel, three days down the story, relatively comfortable with my approach and learning from it. I also am grateful that there have been a fair few people who have taken the time to comment and like my fictional posts (as well as the other blog posts I started putting up for the challenge). It feels good to come out of that closet – cosy that it was. A few people even like what I wrote, and got drawn into the story. That makes me feel slightly cosier sitting stark naked out of my closet. A big and heartfelt thankyou to those who did provide supportive comments to my fictional debut. And for the less than complimentary comments which I’ve had, or are to come in my life as a writer. It all helps, in interesting ways, leading me along the path I need to be on. 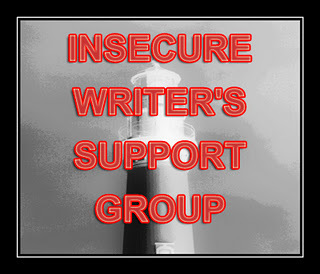 You will find other insecure writers sharing their feelings and ideas via Alex Cavanaughs (who is also a mentor on the A to Z Challenge) Insecure Writer’s Support Group. We meet via our blogs every first Wednesday of the month. Oh honey 😦 I totally agree, people will read what they want to read, regardless of the word count! Thanks Vikki, for the boost. A couple of days put paid to my own Negative thinking, and more plans for my writing behind the scenes. The series of alphabet stories may be published elsewhere once properly finished (and revised). I need a title, however. I’m glad to hear you’re going to keep writing them. I hope I’m not out of place in pointing out that I don’t think the comment to you was meant as opinion as much is it was meant just to explain to you why you might not get too much traffic. Oh goodness, no. Sarah. Never think you’re out of place on this blog. No comments are out of place, and I wasn’t resentful of the original comment, although wondered why it had needed to be pointed out to me towards traffic, given I’d specifically put the word count up for a reason. Shorter posts haven’t guaranteed more traffic either. That’s not really why a lot of people write, or even blog for. I didn’t join (or promote over the last two months) the A to Z challenge from the perspective of getting more traffic, I personally saw it as a challenge to myself and interlinked it with my personal challenge of getting back into fiction writing – a big challenge for me. It was a learning lesson for me what can and can’t make for good blog reading however, and I think the path it pushed me on – looking at other publication opportunities for the storyline, was one that fate probably needed to kick me down at this point in time. All good. Besides, in all of this, I met some good people on the A-Z (including those with a twisted mind who are enjoying my serious crime posts on my other blog). And I’ve read a lot of good, bad and downright beautiful and ugly posts out there too. All good. As a person who also decided to write AZ Flash Fiction, it has been daunting, but rewarding. Having just started writing (in February) I can see how my writing is improving the more I do it. I too am a very private person. Even though I have relatively thick skin, it took me a lot to post my first short stories. Which I have a feeling aren’t really that good to begin with. I just want to get better. The pressure of writing twenty-six flash fiction pieces has really put me under the metaphoric gun. Literally? 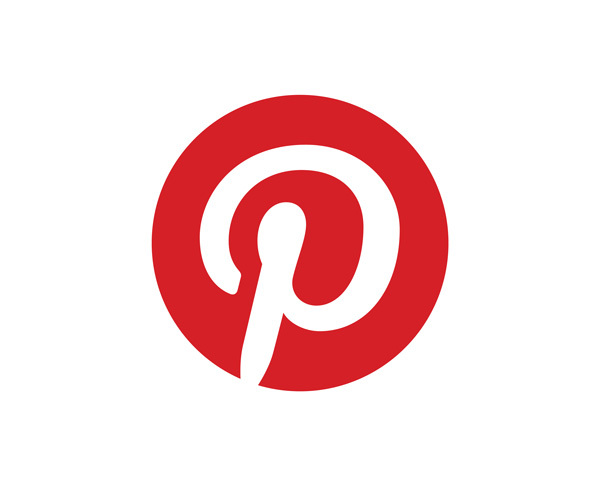 I’ll be following your blog to see how things go for you. Best of luck. As I travel around the challenge I’m discovering quite a few bloggers posting up fiction for the day. I appreciate the honesty and vulnerability in doing so for many, so good luck for your own fiction. I’ll be doing my proper rounds and offering support to everyone once the Easter weekend is over with, so I’ll see you on the blog then.